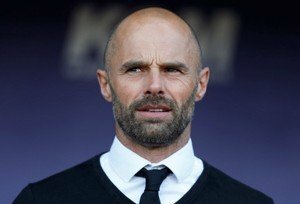 Rotherham United Manager Paul Warne can’t have been anything but pleased with the battling performance by his Millers players this afternoon which saw them bring home a point from Ewood Park. ‘It’s a difficult place to come,’ Warney told iFOLLOW after the one-all draw against Blackburn, ‘and I thought we were the better team for the first twenty-five minutes. The Millers did cause Rovers problems at times especially in the first half with it being vice-versa in the second half where it was ‘all hands to the pumps’ with Rovers putting ball after ball into the Millers area. Rotherham went ahead on seventy-five minutes which was the first time they’d taken a lead away from home this season. At the time I was hoping rather than thinking we were going to hold onto it which we didn’t but neither did we let Rovers bully us into conceding more. You can never really fault a point gained away from home and this afternoon we got a deserved point in my humble opinion.